William A. Polkinghorn has had 35 years of litigation experience as Deputy General Counsel for Union Bank of California, Senior Counsel at Bank of America and as a litigator in private practice. He has extensive knowledge of lawsuits involving banking and financial disputes, including lender liability; real estate transactions, property management and environmental claims; and trusts, estates and other fiduciary relationships. In mediation, he uses an analysis driven approach, encouraging the parties to realistically assess the cases in light of the direct and indirect benefits of reaching settlement. Banking and Finance, Real Estate and Environmental, Trusts and Fiduciary, and Business Lawsuits and Claims. William A. Polkinghorn has substantive experience handling a wide range of complex, multimillion- dollar disputes involving financial institutions and an array of public and private entities. He regularly implemented alternative resolution strategies to successfully resolve such cases through negotiation, mediation and other settlement processes. As Senior Vice President and Deputy General Counsel for Union Bank of California from 1993-2007, Mr. Polkinghorn resolved high-exposure lawsuits and pre-litigation claims and advised executive management on liability exposures, reserves and case strategies. 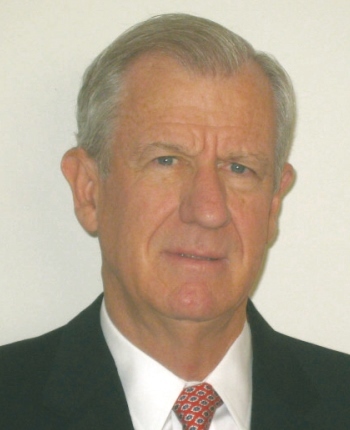 As Vice President and Senior Counsel for Bank of America from 1985-1993, Mr. Polkinghorn served as head of the Litigation Team and Real Estate Group Attorney, resolving major cases involving lender liability, banking and real estate and documenting commercial real estate loans up to $20 million. Prior to that, he was in private practice with the civil litigation firms of Lawler, Felix & Hall and Webster, Jeppson & Jones. Mr. Polkinghorn is available throughout Southern California.